Warning highly radioactive! 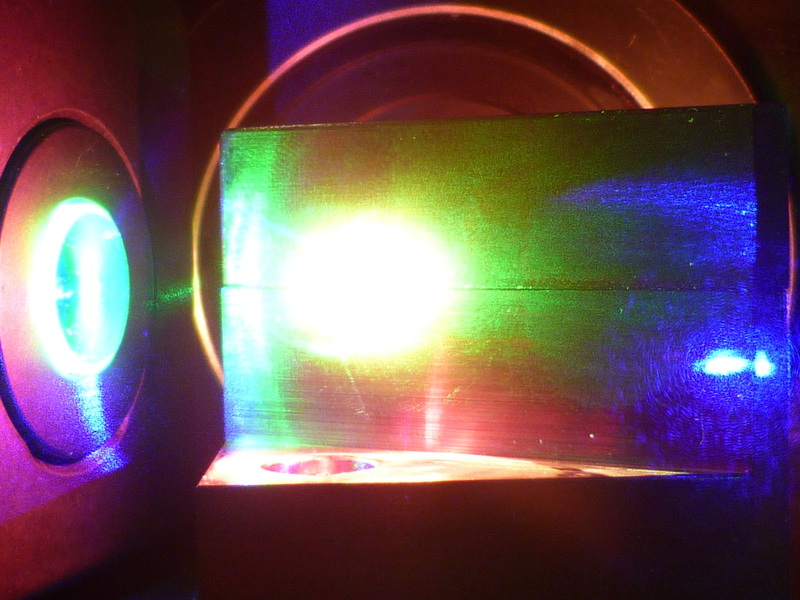 Astatine is a non metal rarely found in nature that was at first created in a lab. This is because Astatine is highly radioactive and has never been a stable element. It is found on the periodic table as At, with it's atomic number of 85, and can be located at family (column) 17 and period (row) 6. A single atom consists of 85 Protons and electrons, 125 neutrons, and is at an atomic mass of 210.0. Astatine was first produced in 1940 by Dale R. Carson, Kenneth Ross Mackenzie, and Emilio Segrè at the University of California, Berkeley. It was created by bombarding Bismuth with Alpha particles in a cyclotron (which is a particle accelerator) to produce after emission of two neutrons, Astatine. When they created it they found out that the Isotope they had made was radioactive, so they named it based on the Greek ‘astatos’ meaning unstable. Now a days it is known there are no more stable Isotopes left in Astatine and the longest lived isotope, Astatine-210, lasted 8.3 hours. Three years later, after it was discovered, Astatine was found in nature by Berta Karlik and Traude Bernert as an intermediate in radioactive decay chains. Traces of Astatine can also be found in uranium and thorium minerals as a decay product. It has never been viewed by any macroscope because any sample would be vaporized by the radioactive heating. Because Astatine is extremely radioactive and can only exist for a certain amount of time, Astatine has limited uses. One of those few uses include medical purposes. It is known that Astatine 211 is used as a radioactive cancer tracer and in cancer treatment. Similar to Iodine, it is known to gather in the Thyroid gland. - Astatine is so rare in earths crust that about 25 grams exists in Earth’s crust at any given time. 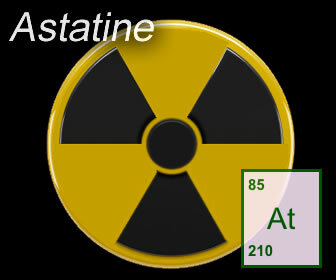 - As of right now, Astatine currently has more than 30 isotopes that have been identified. - Astatine is the least chemically reactive element of the halogens and is the most metallic of the halogens. - The melting point of Astatine is 302ºC, 575.6ºF, and it's boiling point is 337ºC; thats 638.6ºF! "Astatine Element Facts." Chemicool. N.p., n.d. Web. 20 Oct. 2015. "Astatine." - Element Information, Properties and Uses. N.p., n.d. Web. 20 Oct. 2015. Bentor, Yinon. "Chemical Elements.com - Astatine (At)." Chemical Elements.com - Astatine (At). N.p., n.d. Web. 20 Oct. 2015. Element 85- Astatine - Science Notes and Projects." Science Notes and Projects. Wordpress, 31 May 2013. Web. 22 Jan. 2015.